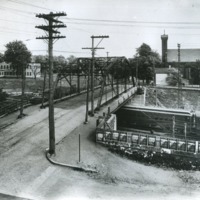 Trestle over railroad tracks at 150th St.; St. Monica's Church in background. Trestle over railroad tracks at 150th St.; St. Monica's Church in background. A train is passing under the trestle. Handwritten annotation on verso reads: "St. Monica's Church - children coming home from the school, would stand under the bridge, and when a steam locomotive passed by, they would be enveloped in a cloud of steam. It was great fun to pretend to be in a 'real cloud'. This is a quote from a former student - now 81 years old (as of 1991)." 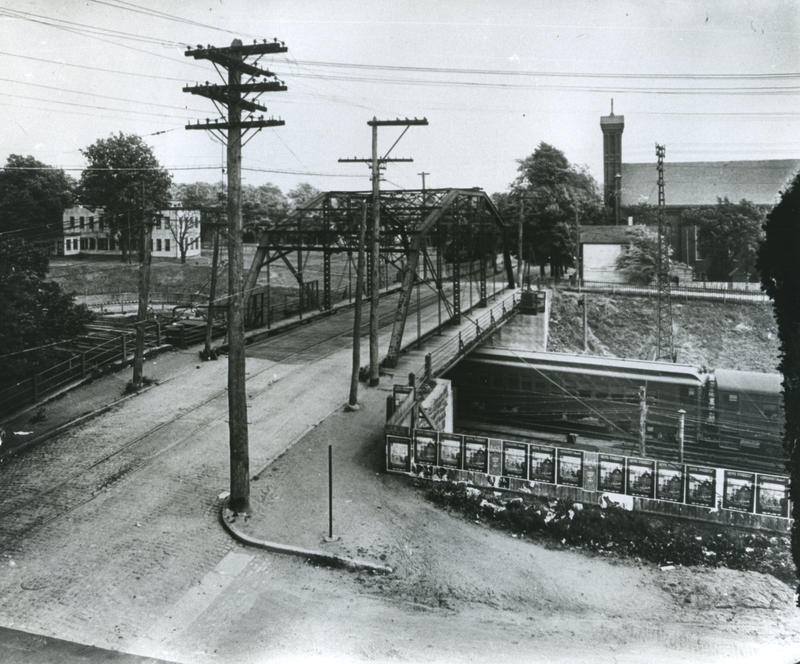 “Trestle over railroad tracks at 150th St.; St. Monica's Church in background.,” Hofstra University Library Special Collections: Digital Collections, accessed April 23, 2019, https://omeka.hofstra.edu/items/show/640.